Line cookie sheet or tray with waxed paper; set aside. In small microwavable bowl, mix chocolate chips and vegetable oil. Microwave uncovered on High 45 seconds; stir. 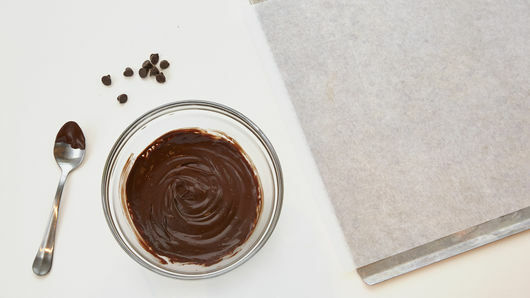 If necessary, microwave additional 15 seconds or until chocolate chips can be stirred smooth. Using small fork, dip bites one at time into chocolate. Tap off excess chocolate. Place on cookie sheet; sprinkle with Toppings. Refrigerate about 30 minutes or until chocolate coating is set. Serve at room temperature. 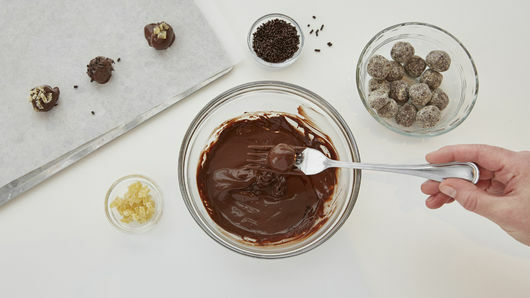 You will have some melted chocolate left over, but you need it to make it easier to dip truffles. Use up the extra by making chocolate bark. Spread onto piece of waxed paper, and sprinkle with toasted coconut, sliced almonds or chopped crystallized ginger. 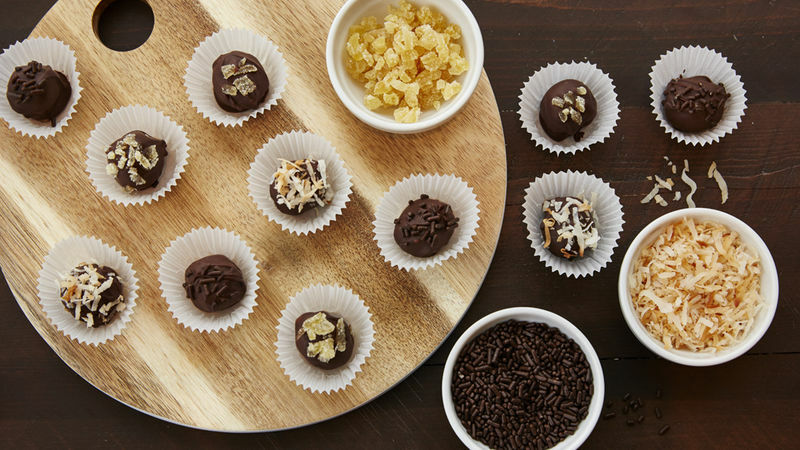 Store truffle bites in covered container at room temperature. Use your favorite flavor of Larabar™ Bites, and get creative with toppings by using chopped nuts, coconut or chopped dried fruit.